An unemployed man who allegedly stole from neighbours’ homes to fuel his drug addiction was remanded in custody after pleading not guilty on Wednesday afternoon. 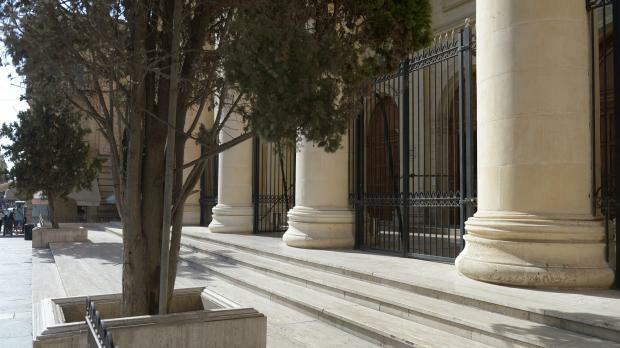 Leslie Farrugia, 26, from Cospicua, was marched to court under arrest and charged with three separate instances of theft allegedly committed over a 10-day span from residences close to his own, as well as with breaching bail. On one occasion he allegedly stole a bike and a valuable painting. The most recent theft, on December 1, involved household decorations. The prosecution objected to a request for bail by legal aid counsel Joseph Brincat, pointing out a real risk of tampering with evidence, especially in view of the fact that the greatest theft had been committed from a neighbour living in the same block as the accused. Moreover, the court heard how the man allegedly resorted to theft to support his drug addiction. In the light of these submissions, duty magistrate Doreen Clarke denied the man bail since he lacked the necessary guarantees requested by law, even in view of the fact that he had allegedly breached a bail decree issued in May. Inspectors Eman Hayman and Mario Xiberras prosecuted.